The brewery named one of their new double IPA's after one of Florida's most popular and criminal anti-heroes, Florida Man. Cigar City Brewing, located in Tampa, Florida, is one of the state's most popular breweries. 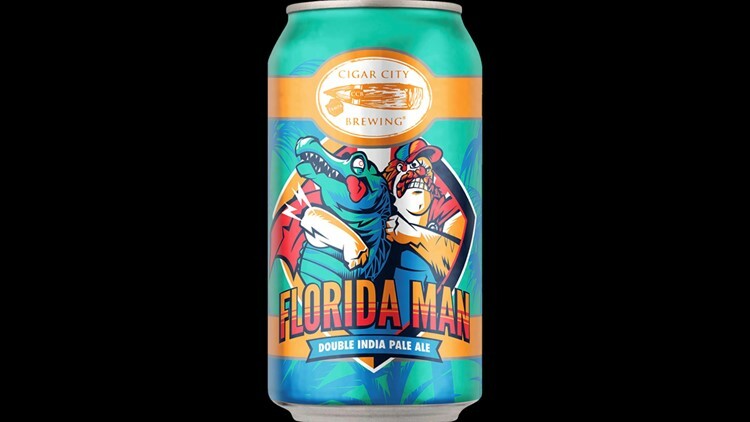 In 2016, the brewery named one of their new double IPA's after one of Florida's most popular and criminal anti-heroes, Florida Man. Florida Man, who has a Twitter account dedicated to updating people on his recent activities, is the name often written in titles of stories about the random and strange activities of Florida men. Florida man arrested after chasing people with alligator in Jacksonville store. The Cigar City website details the origin of the beer in the greatest detail. It tells us that "After spending the winter holed up in a trailer parked in a remote swamp with nothing but baked beans and model airplane glue to sustain him, Florida Man is ready to terrorize humanity once again. Only this time, he's got a freshly trimmed mustache, a brand new polyester shirt from the thrift store and a shiny wristwatch that he 'found on the ground, I swear man!'" The rest of the description is quite humorous, so I recommend you read it. The beer itself packs quite a punch. Florida Man contains 10% alcohol by volume, and is very hoppy, as you'd expect a double IPA to be. The beer has received 4-out-of-5 stars in over 8,000 ratings on the Untappd beer app. Unfortunately I haven't found it available anywhere in Jacksonville, but I'm on a mission, and will update this story as soon as I find it. 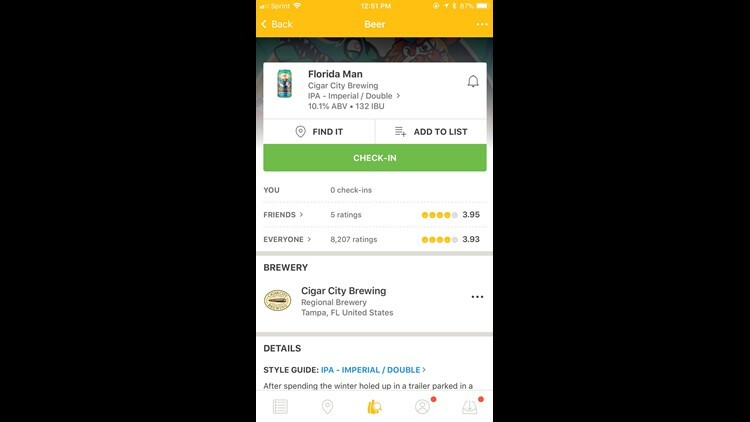 But if you're in Tampa, go by Cigar City Brewing and have a Florida Man, just pray you don't run into the legend himself.